For the past 13 years, we’ve built our success on helping you achieve yours. but don’t just take our words for it. I joined Elite in November of 2013 weighing 203 pounds. My goal was to lose weight. I was nervous when I first joined because I have MS. I was scared the workouts would be too hard and I would end up quitting. Well, I loved being at Elite from the moment I finished my first personalized training session. Elite was definitely the right place for me! I received such incredible support from the entire team. In fact, last year all the trainers came out to join me in the MS Walk. Mirela has been my Number One fan and biggest supporter since Day 1 (thank you so much for everything xo) I am so proud of the weight I have been able to lose (a total of 47 lbs). I loved my experience at Elite Personal Training studio. I would like to thank Elite Personal Training for helping me meet my weight loss goal. I started my program in February 2016 and with the help of Mirela, I quickly began to see results. 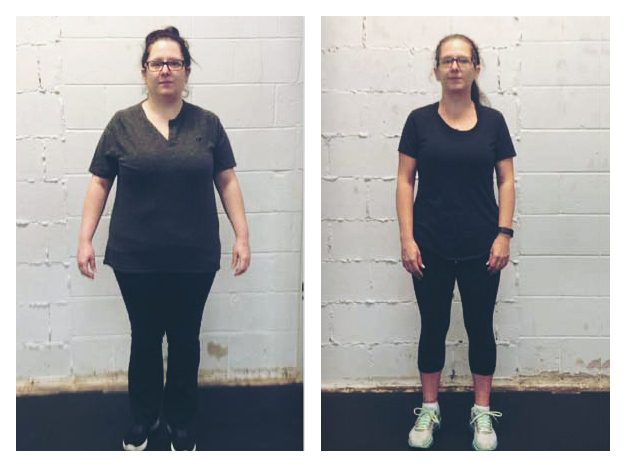 I trained twice a week and followed the nutrition plan that she provided and not only did I see the weight coming off (over 56 lbs so far!) but I have increased my muscle mass and strength. The experienced and professional Elite team always makes me feel welcome and cheers me on! I’m Wilf & I started at Elite because of a longstanding shoulder problem. My trainer & physiotherapist developed some exercises and things were resolved in less than 6 months! I really appreciate Elite’s personal touch…when I go in, everyone knows my name! I really feel like Elite focused on what was best for me & that impressed me. The Elite team helped me develop realistic goals & all the trainers are cheerleaders for my success! I've had a fantastic experience at Elite Personal Training over the last six months. Everyone is extremely friendly and welcoming. 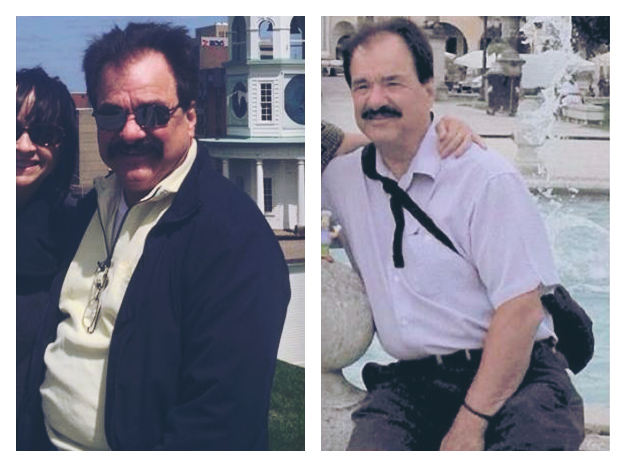 I travel a lot for work and over the past few years it has taken a toll on my health and body. The trainers at Elite worked around my crazy travel schedule and supported and pushed me to reach my fitness goals at a pace I felt comfortable with. I also worked with Mirela on a nutrition program which was key to my success. I have drastically changed my approach to food, helping to kill bad habits and improve my health. I have drastically changed my approach to food, helping to kill bad habits and improve my health! Elite Personal Training Studio has been a fantastic experience from the beginning. Prior to walking into Elite, I was uncomfortable in the gym and completely clueless. Now I feel as though I have the tools to succeed with not only fitness but nutrition too. They are an excellent team! I have yet to have anything but positive, motivating experiences with all the trainers at Elite! A little over a year ago, I started a personal transformation journey. Elite was a key partner for me in this. Nathaniel skillfully, patiently & safely strengthened my body’s capacity to move and perform. His commitment to reducing pain from an existing knee injury while at the same time safely strengthening muscles required personalized work outs that achieved both of those goals. Passionate about partnering for results, he seemed to know exactly when to challenge and when to move deepen gains. And we had a lot of fun – laughter mixed with sweat fueled progress! At the same time, Mirela’s nutrition support & counselling helped overcome my hyperinsulinemia and supported my weight loss/physical transformation by ensuring adequate nutritional support for my goals. So…a year into my transformation…I have lost 72 lbs & counting; I’m off my blood pressure medications; and I have finally quit smoking. I am strong. I joined Elite in March 2014 to reduce weight and lose inches and I am more than pleased. Since joining, I have lost 30 lbs and 4 inches from my waist! Fantastic! Being on the road a lot, I have made an unexpected transition from junk food to healthy meals and have made some great dietary discoveries. The staff are all very friendly, fun, and a good mix of their different regimens has provided me with a great variety of hard, enjoyable workouts. Thanks Elite! I HIGHLY recommend their Nutrition Package to get your eating habits healthier and keep you on your weight loss journey! Training with Mirela throughout my pregnancy has made a world of difference in my strength, flexibility, overall physical comfort, especially in the last two trimesters, and preparedness for the delivery. Her knowledge of the body change during pregnancy and how to accommodate those changes in my training regiment inspired confidence, and led to my success. With Mirela’s help I gained just 16 pounds in this pregnancy – all the less to lose when I get back to Elite after the baby arrives! My life is online. I sit at a computer all day. I reached a point where I realized how much damage doing ‘nothing’ was doing, and it was time for a change. With only 3 sessions a week and meal awareness, I have become stronger, healthier, and more confident. Everything I have achieved was made possible by the Elite team understanding me, my crazy life, and my goals. I’ve never been happier in my skin, and Elite has been there every step (and lunge) of the way! All I did was everything the Elite team told me to do, and in less than three months, I’m 17lbs lighter & have lost 18 inches! AI am 40 pounds lighter, and two pant sizes smaller. My blood pressure is lower, and my wife even likes me better. I can hardly wait to see what the next 60 years bring. An outstanding experience, wonderful facility, friendly caring staff! Since changing my eating habits and adding exercise to my daily life my Elite Nutritionist has helped me lose 35lbs. My energy levels have gone way up and I am on my way to a happy and healthy life. It has been a huge lifestyle change, but I am enjoying my new body, new attitude and my new found self confidence. I could not have accomplished this success without Elite Personal Training Studio! I lost 30lbs “my spare tire”, and went from a pant size of a tight 38” to a comfortable 34” with Mirela last fall while also upping my workouts. I followed Mirela’s eating plan and did the food journals for 8 weeks. I am proof you can be successful with Mirela if you follow her recommendations. I’ve managed to keep the weight off for 5 months now – thanks again Mirela for all your encouragement! My husband and I joined Elite in January 2016 to take advantage of the Christmas special. At first we thought it would just be a handful of sessions to help us rebuild healthy habits; however after just a few sessions we were hooked! It has been over a year now and we can’t imagine not going to Elite! We have trained with most of the trainers on staff and they are all great. They push us to work hard and don’t let us give up on ourselves! The environment is super supportive which helps us to have fun even when we are working hard! We are more fit and have a lot more energy because of Elite! I just wanted to thank you all for helping me achieve weight loss success for my wedding day! Thanks to all of you I was able to look and feel beautiful on my special day. My journey is not over yet and I hope to continue my path at Elite (when I pay off the wedding and can afford it, haha). I have loved being a part of the gym and meeting so many amazing people who have went above and beyond for me. I can’t thank you all enough for what you have done for me! Thank you all sooo much! More pics on my Facebook Kala Carrothers. Keep in touch! I have been a member of Elite Personal Training Studio for almost 6 months and I can say unequivocally, that this is the best experience that I have had in fitness ever! The positive vibe of the club provides motivation and creates an atmosphere that makes you connect and commit to a lifestyle that promotes fitness, balanced eating and inner strength. Thank you! Your Free Consultation Request has been sent to our team and we will be in touch!